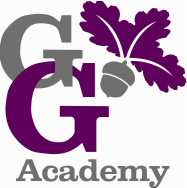 As an academy we handle our own in year admissions (admissions to all years other than Reception. Information about admissions and applying for a place should be made directly to the school. For more information on admissions please click here for the BMET (Bourton Meadow Education Trust) Admission policy which covers admissions to all BMET academies. For further information please contact the school office 01280 813273. For admissions to the Nursery, please contact the Nursery via the Office on 01280 813273.